From dancing along to the legendary pop videos as a child, to playing to a crowd of weeping fans the day after Michael Jackson died, Ben Bowman is certainly dedicated to his life as the UK’s ultimate Michael Jackson tribute artist. Ben, 33, who grew up on the Isle of Sheppey, off Kent, quit college to pursue his dream and now travels the world paying homage to the King Of Pop in live show Michael Starring Ben. 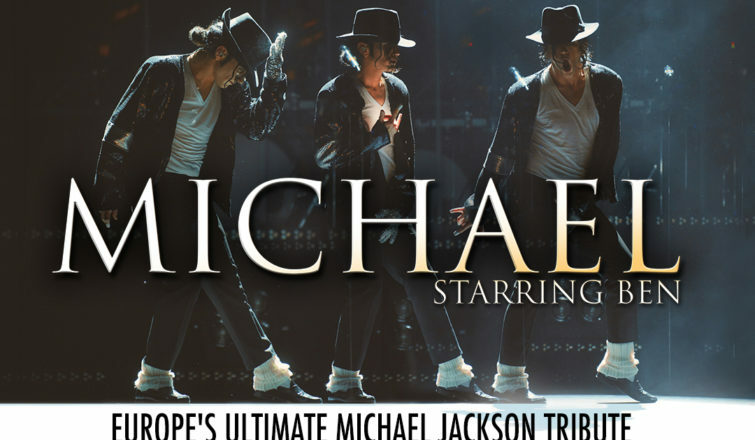 The show which comes to 40-plus venues across the UK is a celebration of Michael Jackson’s life and work as arguably one of the world’s most influential entertainers. Ahead of the 2019 tour, we spoke to Ben about his lifelong love of the legendary performer, and how he’s proud to keep the legacy alive 10 years after the megastar’s death in 2009, shortly before he was due to open a 50-night residency with his This Is It show at London’s O2 Arena. Tell us about your love for Michael Jackson. How and when did it start? “Fourteen years, I literally started straight out of school. I was at college, studying drama, and they told me I could earn £77 a night in the West End. So, I quit the course and said ‘I can earn more than that as a Michael Jackson impersonator’ and it went from there, I started booking venues. “The first time we played to 20,000 people at a festival, I stepped out on stage and thought to myself this has got to be close to what Michael experienced. It was the most people I had seen in one place in my life, at that time. “Over the years, it’s become so rewarding, especially since Michael passed away. It’s rewarding to see what people take away from what we do. They don’t just come and see a show, they come up after and say: ‘I saw Michael live and that was fantastic, he would be happy at what you’re doing.’ It’s wonderful people feel that about it, as that’s what we feel about it. “It’s a continuation of the legacy. What I love most is that it introduces kids to Michael Jackson too; young people who weren’t even alive when he was alive. Kids who are not even four or five years old are huge fans, from their parents’ influence. We get kids there in full costume, dancing and singing along to the Jackson 5 tracks. I’m like ‘How is that, it’s from 1972?’. It’s insane. “I love Michael Jackson as much now as when I was five. I listen to his music every week still, away from performing. I can’t imagine my life any other way. Everyone in the team are Michael Jackson fans, we do it because we love him. “After 14 years, I’m a very adept actor in the sense that people expect me to go off to a dark room to ‘become’ Michael Jackson. But it’s not like that. My make up takes about 45 minutes, it used to be two hours but I have it down to a fine art now. I glue my hair on. I used my own hair until it started to get too thin, so I had it chopped off and now use a wig. I get into costume, then warm up my body and voice, as it’s a real work out. Over all now, it’s two hours but I can be done in an hour and a half. “Jackson was a massive perfectionist with his live work, he hated releasing it. He held off releasing Dangerous until about 2002-3 and that tour happened in 1992, and Bad was even later, after he died, and was released for an anniversary of the album. Seeing that rekindled, that feeling of how I felt about him in that era, how amazing he was. How does it feel to think 10 years have passed since he died? “Where has that time gone? I still remember hearing the news and having to go out the next night in a bar to perform. It was a big bar, and there were about 700 people crammed in, and people outside. It was insane. I’ll never forget that night and the turn out – it would usually have been about 400 people and was almost doubled. People were crying, it was a very emotional night. Do you have anything special planned for the anniversary? Michael Jackson had amazing fans. How do they react to your shows?